At President University, the Partnerships Office opens up opportunities for relevant stakeholders from all over the world to establish partnership/collaboration agreements, become our research partners, represent our strategic global interests in your home country, among others . The map below shows some of our partner universities from all over the world according to their geographic locations. Currently, President University has an ongoing partnerships with 59 universities/institutions from 27 countries around the world. For more information, including how to collaborate with us, please kindly contact us at partnerships@president.ac.id. As the first and only full-fledged private university in Indonesia which uses English as its medium of instructions across the board with a focus on innovation and entrepreneurial mindset, President University has a visionary objective to become a leading applied research institution in the region. In doing so, the university strives to expand its global partners in various disciplines and relentlessly improve our internationalisation efforts. Below is the growing list of our partner universities all around the world. Founded in 1997, Hunan International Economics University is a higher education institution located in the large city of Changsha, Hunan. Officially accredited/recognized by the Department of Education, Hunan Province, Hunan International Economics University (HIEU) is a coeducational higher education institution. 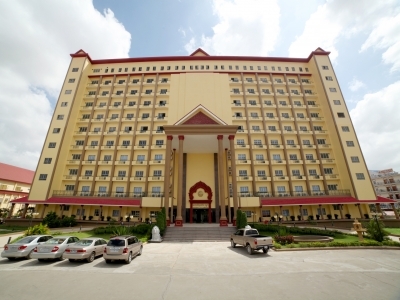 Hunan International Economics University (HIEU) offers courses and programs leading to officially recognized higher education degrees such as bachelor degrees in several areas of study. It also has been recognized as the top private university in China by the China University Alumni Association (CUAA) in its 2014 publication of the "China University Evaluation Report”. The recognition is based on the university’s commitment to quality and strong graduate outcomes. Deadlines: Spring semester: late Februarymiddle July, Fall semester: September-middle January. Application time: two months before registration. Description: JXSTNU has always been committed to international exchange and cooperation and is entitled to recruiting overseas and Hong Kong, Macao & Taiwan regions students. At present, the university has established cooperative ties with more than 20 universities, international organizations and enterprises from all over the world, including the USA, Britain, Finland, Denmark, Brazil, Germany, Australia, Canada, Japan, Korea, Hungary, and Taiwan region. The university signed cooperation agreement, carried out Sinoforeign cooperation in education, mutual recognition of credits, teacher training and exchanges activities, exchange of students learning, communication and cooperation study research projects, etc. The university held many Sino-Americas, Sino-Japan youngsters’ cultural exchange activities. Description: To provide opportunities for experiencing a new academic environment and different cultures, Taiwan Tech offer an exchange student program for one or two semesters for international students around the world. The exchange program is designed for both undergraduate and graduate students from our partner universities worldwide. Who can apply: ​​Full time students from Taiwan Tech's partner universities are encouraged to apply for the program. The applicants will be nominated by their home universities. Step 1: Applicants contact home university for nomination. Step 2: FIll out the application form and prepare all the required documents. Step 3: Send the completed application form with required documents to the Office of International Affairs via email or via post before the deadline. Step 4: Application will be assessed by Taiwan Tech. Step 5: Nominated students will be notified via e-mail. The Letter of Acceptance will be sent to the home university by mail. 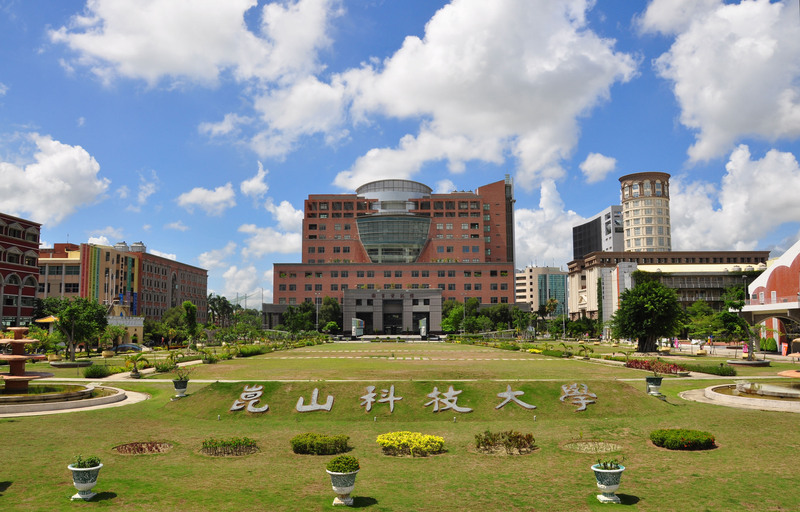 Tun Shan University was officially founded on April 29, 1965, known as Kun Shan Institute of Technology. It is located on Kun Da Road, Yung Kang District in Tainan City on a beautiful and spacious campus including a quaint shimmering pond, a combination of ancient Chinese and modern structures and is home to a nine cornered bridge, pavilions, flowers and trees. In August 2000, Kun Shan Institute of Technology was promoted by the Ministry of Education to a technological university. Many new facilities have been constructed on campus, such as laboratories, audio-visual classrooms, faculty research rooms, and discussion rooms to provide both students and faculty a positive environment to study and do research. 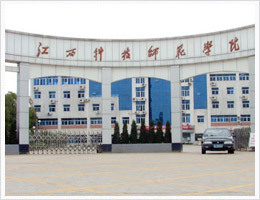 Kun Shan has put emphasis on integrating school transportation, campus landscape and structures, department offices, regular classrooms and laboratories in order to provide a comfortable educational environment. As for the integration of college buildings, they have been remodelled to accommodate five colleges: The College of Engineering, The College of Business and Management, The College of Applied Human Ecology, The College of Creative Media, and The College of Information and Technology. 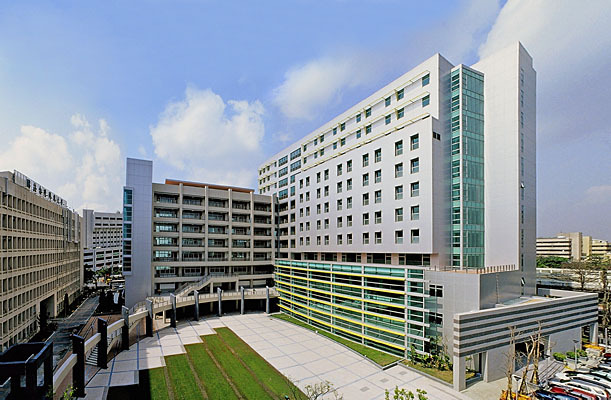 Kun Shan University is a home for more than 14,000 undergraduate and graduates students. The University’s excellent reputation draws students from 20 countries. For Fall semester：The application deadline is on June 30th. The date of his/her application is decided by postmark. For Spring semester: The application deadline is on December 31st. The date of his/her application is decided by postmark. 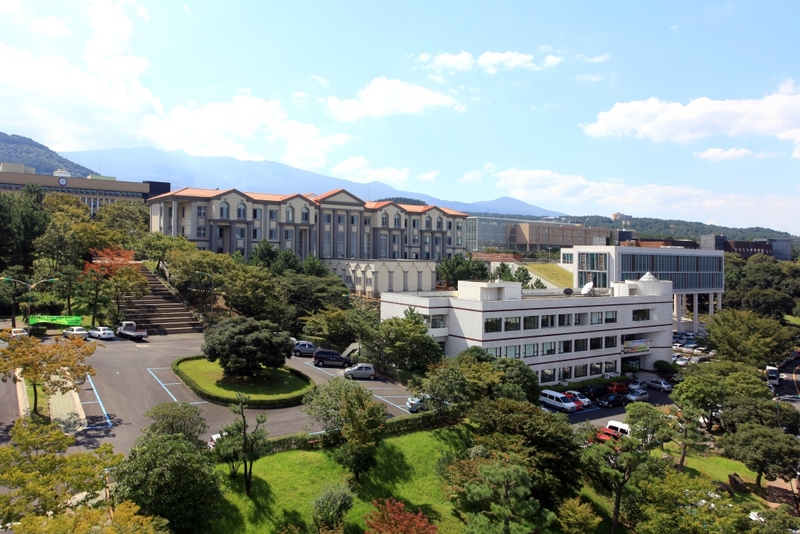 Ritsumeikan Asia Pacific University, or APU, was founded in April 2000 as Japan’s first truly international university by the Ritsumeikan Trust, an educational academy with over 100 years of history and tradition. The University’s mission is to develop “Asia Pacific Studies” as a new academic discipline and aims to prepare students to succeed as leaders in today’s world. APU invites you to come and experience the inspirational and stimulating APU learning environment for yourself. Description: Studying at APU for 1 semester or 1 year will allow you to learn from students and faculty at APU who come from various cultural and ethnic backgrounds. APU encourages exchange and study abroad students to bring their own unique culture and ideas to share while learning and acquiring intercultural communication skills in and outside the classroom. It is a truly unique atmosphere that cannot be found anywhere else. Description: The Japanese language education program at APU assists students through the phases of their studies, from basic hiragana characters to complex sentence structures and beyond. After arrival, but before regular classes begin, students undergo a 1-week long intensive hiragana and katakana training session, which teaches the two basic writing systems of the Japanese language. With these preparations, students are able to start their classes with a basic understanding of the Japanese writing system. 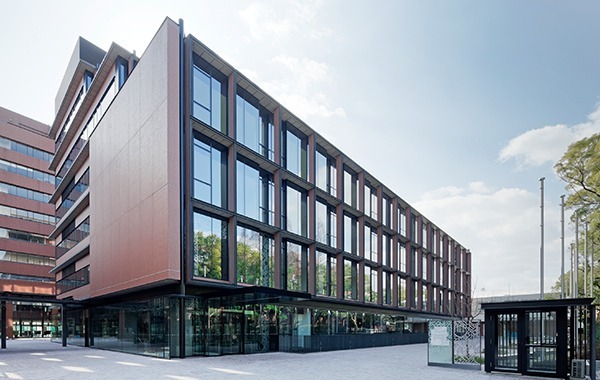 Ritsumeikan University is a private university in Kyoto, Japan, that traces its roots to 1869. With the Kinugasa Campus(KIC) in Kyoto, and Kyoto Prefecture. 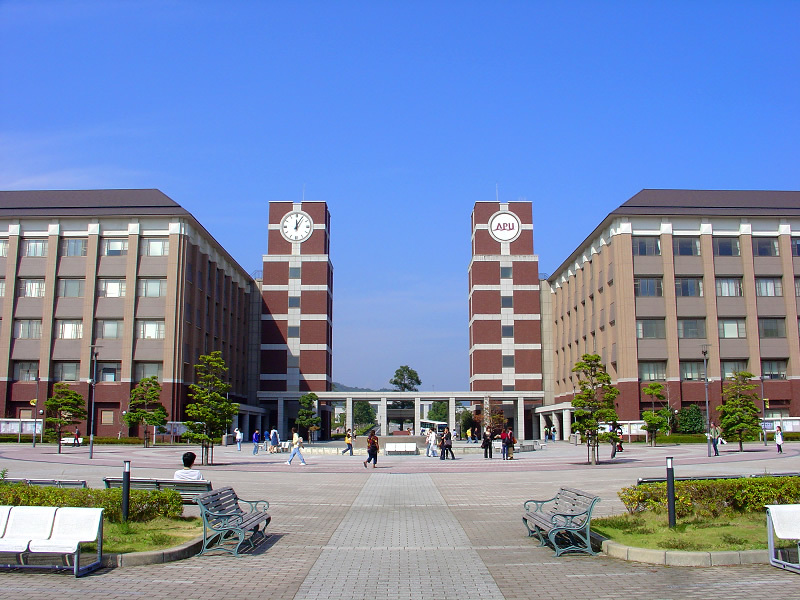 Ritsumeikan University is known as one of western Japan's four leading private universities. KAN-KAN-DO-RITS 関関同立 (Kwansei Gakuin University, Kansai University, Doshisha University, and Ritsumeikan University) is the abbreviation that many people refer to when talking about the four leading private universities in the region (of 20 million people). Ritsumeikan University is considered to be one of Japan's top universities, and is especially well known for its International Relations programme which has been ranked as first place in Japan. Moreover, in today’s newspaper, it is listed as the ‘top private university in Japan for policy science’. 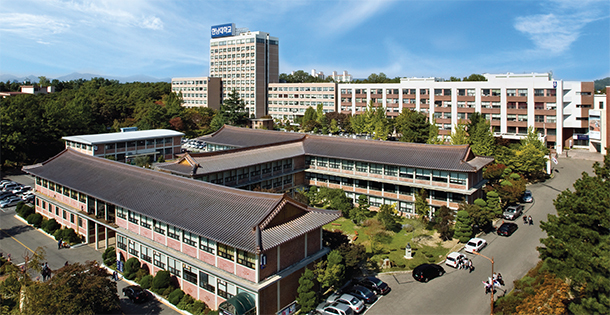 Hannam University was established in 1956 by American missionaries of the Southern Presbyterian Church of the United States (currently PCUSA). As a Christian University, Hannam has never faltered in maintaining its Christian roots as it has a uniquely Christian atmosphere that places emphasis on truth, freedom, and service. Hannam has continued to gain a reputation from the Korean society for its ethical and talented 73,890 graduates serving the Korean society and church. Achieving and maintaining academic excellence in every area of learning, teaching and research is the integral part of Hannam education. Over the past 60 years, Hannam has attained a remarkable growth to be a recognized private university in Korea and Asia. There are 5 graduate schools, 9 colleges and 44 departments,10 auxiliary organizations, 33 research institutes, and 234 overseas sister institutions in 46 countries. As a major comprehensive university, Hannam offers a wide array of undergraduate and graduate programs that reflects its commitment to teaching, research, and service to the greater community. 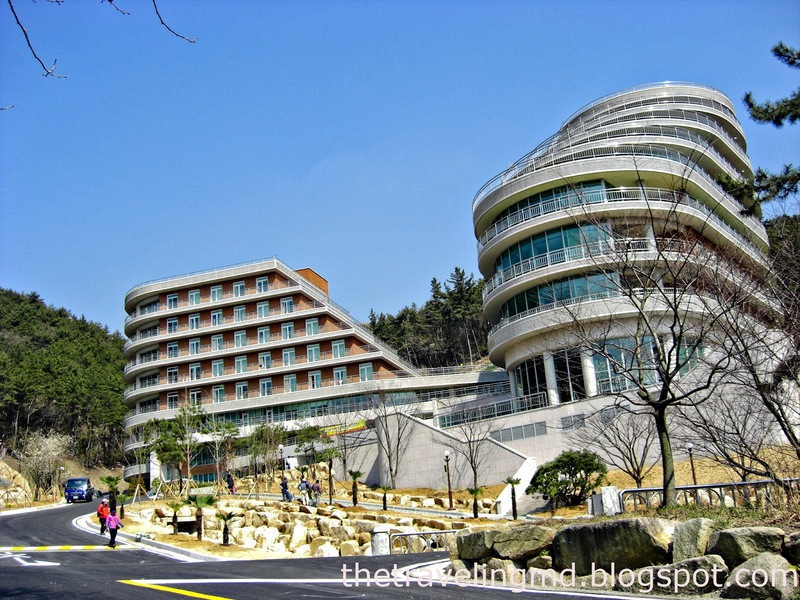 Located in Daejeon, geographically in the same latitude as Athens, Lisbon and San Francisco, the beautiful green campus of Hannam University extends over 5,875,976 square feet and the school buildings total around 2,370,665 square feet. It has two campuses in Ojeong-dong and nearby Daedeok Innopolis with the state of the art infrastructure and facilities for academic and extracurricular activities. 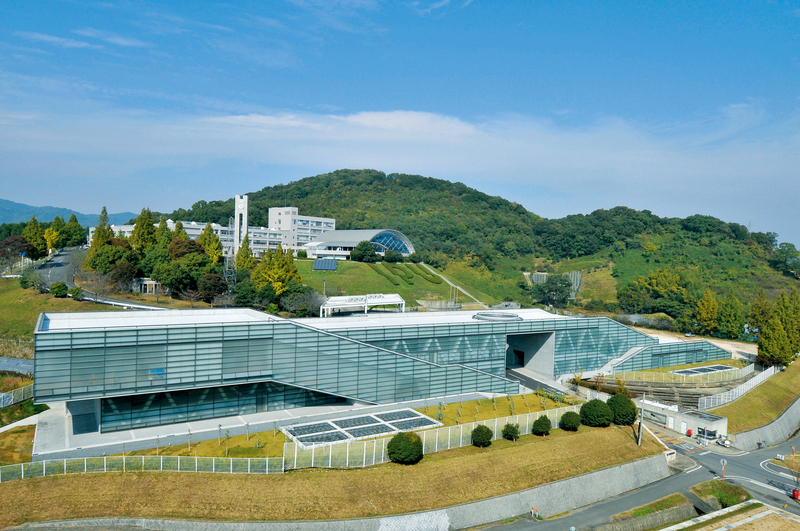 Our innovative Daedeok Valley Campus that houses the College of Bio and Nano Science is ensconced in the heart of the world famous Daedeok Valley, a representative science and technology research complex in Korea. In addition, the Linton Global College, the first program of its kind, offers all classes in English since 2005. Description: The Student Exchange Program is designed for foreign students attending institutions linked with HNU. Exchange students selected by our sister school can study at HNU for one semester or one year without paying tuition, and on-campus housing will be arranged by the university. With its continuing emphasis on globalization, Hannam University offers a variety of courses taught in English both at Linton Global College and by English-speaking professors in various disciplines. They are designed to provide an excellent opportunity for both international and Korean students to study their chosen academic fields in an international setting. Eligibility: ​​Students currently enrolled at sister institutions that HNU has an exchange agreement with are eligible to apply to the Exchange Student Program. All applicants are required to secure the approval of their home institution and then forward the completed documents to the Center for International Relations at HNU. While students nominated by the home institution are normally accepted by HNU as exchange students, HNU retains the right to screen the students and to make a final decision regarding admission. Jeju National University is a public university founded in 1952 in Jeju City, the provincial capital of Jeju, South Korea. In 2008 Cheju National University and the Jeju National University of Education merged into Jeju National University. The university's diverse undergraduate offerings are divided among 12 colleges: the College of Art & Design, the College of Humanities, College of Law & Political Science, College of Economics & Commerce, College of Education, College of Applied Life Sciences, College of Ocean Science, College of Natural Sciences, College of Engineering, College of Medicine, Teachers College, and College of Veterinary Medicine. There are 6 graduate schools: Graduate School, Graduate School of Education, Graduate School of Business Administration, Graduate School of Public Administration, Graduate School of Industry, and Graduate School of Social Education. There are 3 professional graduate schools: Graduate School of Interpretation, School of Medicine, and Law School. This institution was founded in 1954. Its Original name was Pakyoung Institute. In 1997, it Received authorization to change to a coeducational school and to change the school's name to Silla University. Silla University inherits the glorious tradition of Korean culture and makes a creative effort to pursue knowledge and truth. The ideology of education is to develop progressive leaders who will take the leading role in shaping the future and contribute to the mutual prosperity of mankind by developing a noble character. 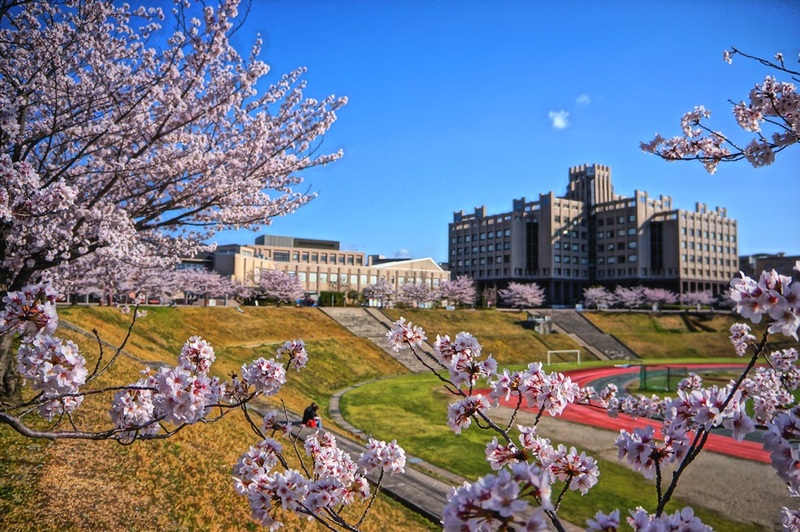 Osaka International University (OIU) was established in 1929 originally as Teikoku Women’s High School and is managed by Osaka International Educational Institution, based in Moriguchi City, Osaka Prefecture. For more than 80 years since its founding, OIU has emphasized the importance of education, our Founding Philosophy “Educating the Whole Person”, and has progressed as a university that responds to the social needs for higher education. 8. Joint conference, workshop, and seminar. The Lyceum of the Philippines University is an institute of higher education located in Intramuros in the City of Manila, Philippines. It was founded in 1952 by Dr. José P. Laurel, who became the third president of the Philippines. He named the institution after lykeion, the grove in ancient Athens where Aristotle taught his pupils. LPU is the only university founded by a president of the republic. Its educational vision is founded on principles that its founder, José P. Laurel, set down. It opened its gates to its first students on July 7, 1952. Two of the building's most prominent features are its entrance through the "Hall of Heroes", commonly known as "Mabini Hall", which exhibits busts of revered Philippine historical figures sculpted by the National Artist Guillermo Tolentino; and the famous "Lyceum Tower" which serves as Lyceum's trademark and stands witness to the university's history and continuing progress. Many disciplines are taught in the university, with International relations (diplomacy, international trade), business, communication and International Hospitality (hotel and restaurant management, tourism) consistently being the university's flagship courses. The LPU System has affiliate campuses in Makati, Batangas, Laguna and Cavite. UUM has evolved into an open campus where outsiders and tourists are allowed the freedom to visit and utilise the various amenities within it. An area encompassing 107 hectares of forest has been developed into various facilities both to attract tourists to the northern region and to satisfy the recreational needs of the members of the campus community. Among these facilities are a picnic area, a nine-hole golf course, a go-kart circuit, a shooting and archery range, an equestrian site, and many others that are fast gaining popularity among tourists and the members of the campus community alike. The UUM Transformation Plan, which is essentially a roadmap for the future pursuits and endeavours of UUM, is divided into two phases. Phase One, which is from 2011 till 2015, is focused on unequivocally placing UUM on the local academic map in a systematic and planned manner. During this period, greater emphasis will be given to ensuring the successful achievement of the objectives of the First Phase while, at the same time, being mindful of the imperatives of the Second Phase of the Transformation Plan, which will be from 2016 till 2020. Description: Focusing on UUM latest trends in the internationalization of higher education, which includes the mobility and exchange students programme that is crucial for International students to immerse themselves into social and academic cultures of other countries and to provide opportunities for international students to study in and experience the cultures in Malaysia. While you are studying overseas, you can remain enrolled in full-time courses at UUM and able to receive credit for your degree. In most cases, you will be able to combine travel and study without adding extra time to your studies. Students will find UUM vibrant and welcoming with lots of events and activities. 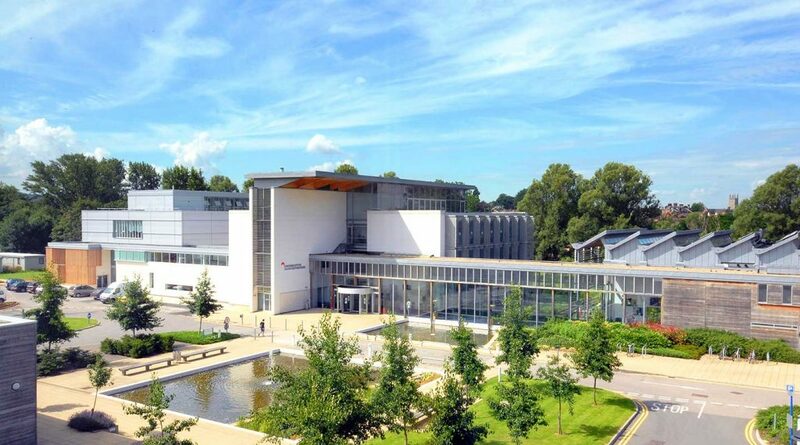 The Students’ Association will provides many opportunities to enhance your university life, and our facilities will enable you to socialise, participate in many activities and take a break from the usual academic life. President University and Canadian University of Dubai will explore opportunity for engaging in collaboratives research project. The university was granted permission to use a 300 rai (125 acre) plot of land in the eastern suburb of Bangkok as its main campus; this land once housed the International Trade Fair. With the growing number of students, Ramkhamhaeng has expanded to Bang-Na campus, about 25 kilometers away from the main campus. In the national program, freshmen classes are held at the extension campus while classes for upper level students remain at Huamark. Additionally, there are 22 more campuses all over Thailand. In 1999, Ramkhamhaeng University expanded its educational opportunities by forming the Institute of International Studies (IIS-RU) as a faculty for the university’s international program to satisfy the ever growing demand for international higher education. Among other developments, the past two decades have witnessed a number of changes in the operation and structure of the University itself. For instance, the number of students has skyrocketed with each passing academic year, reaching over 600,000 in 2004. On an academic note, having started out with only four faculties in all, primarily those pertaining to the social sciences, namely, the Faculty of Law, the Faculty of Business Administration, the Faculty of Humanities and the Faculty of Education, later, in 1974, three more faculties were added, consisting of the Faculty of Science, the Faculty of Political Science and the Faculty of Economics. In addition, the University enjoys a wide range of excellent academic support facilities, including the Central Library, the Educational Technology Office, the Institute of Computer Science, the University Press, the Research and Development Institute, the Institute of International Studies, the Arts and Cultural Institute, the Sports Office, the Institute of Health Science, the Ramkhamhaeng Institute of Languages, and the Institute of Human Resources Development. Description: Ramkamhaeng University offers students from all around the world, including President University students to participate in exchange programme. The exchange programme will run for one semester. Student does not need to pay the tuition fee to Ramkamhaeng University (student still needs to pay the tuition fee to President University as usual). Student needs to provide living allowance, return flight ticket, visa, and accommodation by himself/herself. 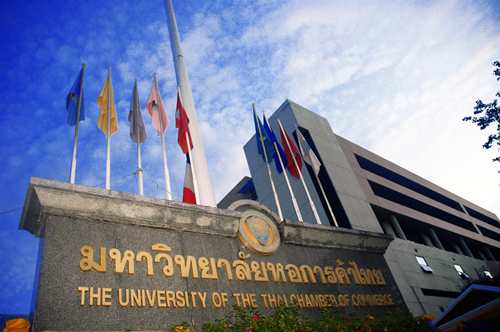 The University of the Thai Chamber of Commerce (UTCC) is the oldest private non-profit higher education institution offering degrees in Business Administration, Accounting, Economics, Humanities, Science, Communication Arts, Engineering and Law. It is a place where academic theories and business experiences are integrated to produce graduates who can successfully meet today’s business challenges. The University of the Thai Chamber of Commerce, originally known as the College of Commerce, is a private university that was founded by the Thai Chamber of Commerce in 1940 to provide education for business to Thai youth. After the outbreak of World War II in 1941, the institution was closed and it was reopened in 1963. The two-year curriculum was developed into a standard four-year program in 1964 and on June 17, 1970, the College of Commerce was officially accredited under the Private College Act. On October 24, 1984, this institution was accredited as a university and the name was changed to the University of the Thai Chamber of Commerce. International Programs represent the academic expansion of the University of the Thai Chamber of Commerce in keeping with global business trends. 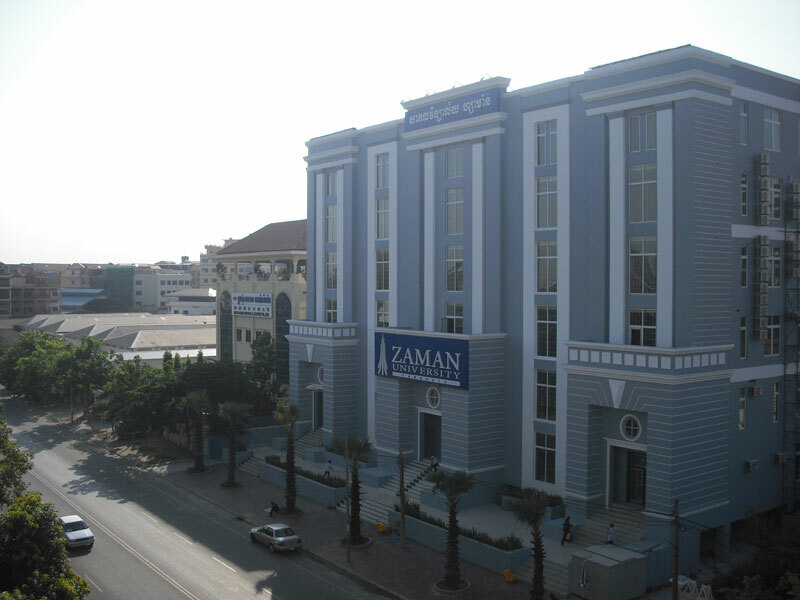 Zaman University is a young university founded in 2010 by Mr. Ali Kokten, its language instruction is English and it has 4 faculties namely Faculty of Engineering, Faculty of Information and Computer Technologies, Faculty of Economics and Administrative Sciences, and Institute of English and Foreign Languages. It has an internationalized environment where students from several of its partners meet, including from United States, Portugal, Romania, Iraq, Albania, India, Thailand, Malaysia, indonesia, South Korea, China, and Kazakhstan. Description: Student from Faculty of Computer Science, Faculty of Business and Faculty of Humanities at PresUniv may exchange with students from Faculty of Information Computer Technologies, and Faculty of Economics Administrative Science at Zaman University. Students may engage in internship/on-the-job training programme available at host institution for the period of 1 semester or 1 academic year. Eligible students will have opportunity to have exempted tuition fees, subjected to the terms and conditions of host institutions. Located in the middle of Pnom Penh, the young University of Cambodia offers various degree ranging from bachelor to doctoral degree. The University has 7 colleges and 3 schools to facilitate around 10,000 students to study with American credit system. As a private university, the University of Cambodia has been supporting Cambodian government to reduce poverty by awarding 6,316 scholarships towards students with excellent performance. It has several study center in certain fields, including for ASEAN and English studies. Description: The University of Cambodia offers certain places for international students who wish to study in any of its courses that offered in English. For most of its first 100 years the University was situated in the centre of Christchurch (now the Arts Centre). By 1975 it had completed its move to a spacious purpose-built 76 hectare site in the suburb of Ilam, 7km from the old city site. It comprises a central complex of libraries, lecture theatres, laboratories and staff accommodation surrounded by playing fields, woodlands and the renowned Ilam Gardens. 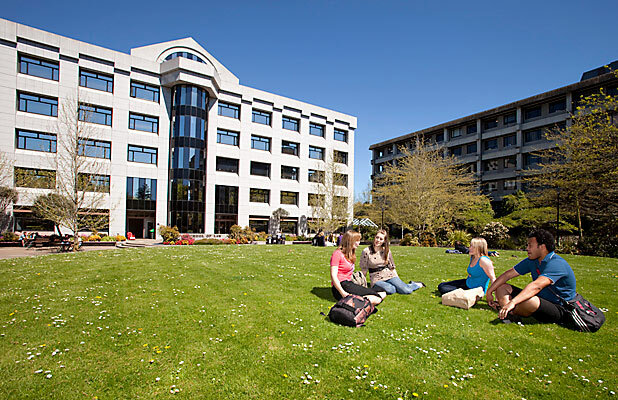 On 1 January 2007, the neighbouring Christchurch College of Education, the second oldest teachers' training college in New Zealand, merged with the University and became UC's sixth College/School. Canterbury offers undergraduate and postgraduate courses in more than 70 subjects, from accountancy to zoology. It has the most extensive network of field stations for student and staff research of any university in New Zealand. UC has stations at Kaikoura, Cass, Westport, Harihari (South Westland), the sub-Antarctic Snares Islands and Antarctica, and New Zealand’s premier astronomical research facility at Mount John, Tekapo. In addition, UC operates a field station in Nigeria as part of the Nigerian Montane Forest Project. Locally, eight accommodation facilities provide board for more than 2000 students. Some 12,000 students are enrolled and, each year, more than 3000 students graduate. Description: The University of Canterbury and President University Exchange programme allows you to study for one or two semesters at a university overseas. Your tuition fees are paid directly to President University and you do not incur any international tuition fees while you are away. You will be responsible for all of your own living expenses. Semester One (February to June) – the closing date for applications is the 1st of November of the previous year. Semester Two (July to November) – the closing date for applications is the 15th of April. 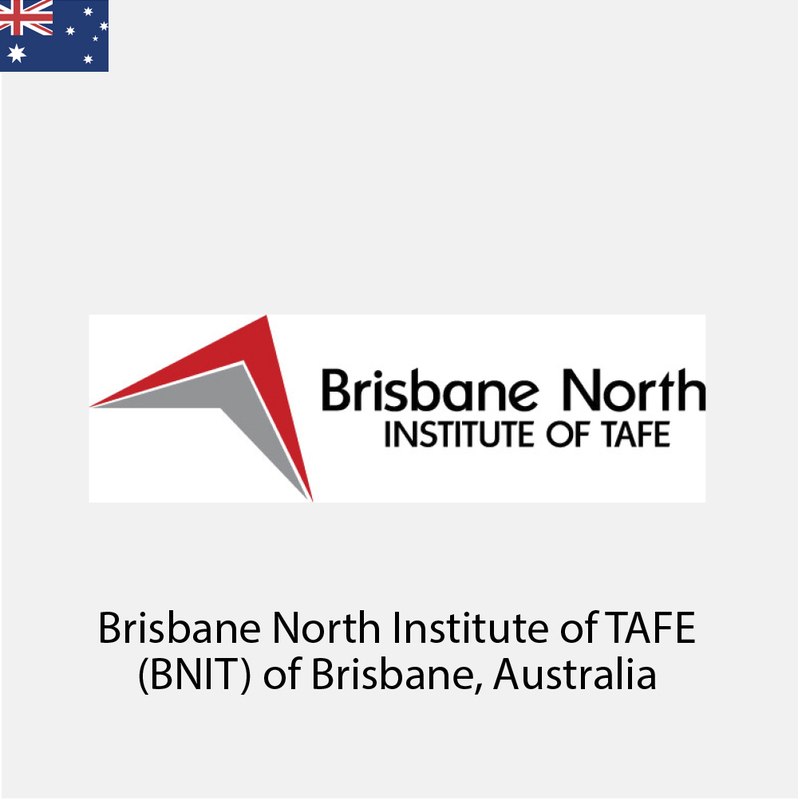 The Brisbane North Institute of TAFE or commonly known as TAFE Queensland Brisbane, is attracting around 40,000 local and international students per year. This university has one of the best facilities and infrastructure in Australia for higher-education institution, proven by extraordinary 10 campus buildings standing strong across Brisbane region. 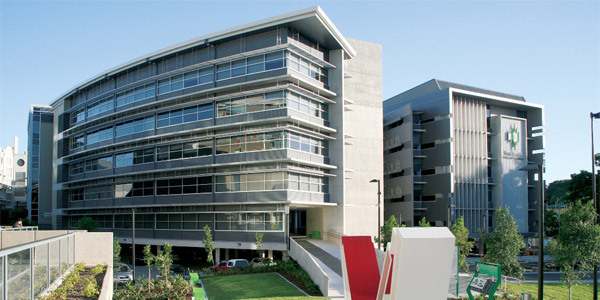 It started as North Brisbane School of Arts with only dozens of students, currently it already has 25 field of studies available for both local and international students. Description: This programme helps students to focus on practical-training before they enter into professional world. Student might take this programme as distant-learning. 1. The campus must be developed in an environment where students' lives, assets and safety would be guaranteed. 2. The host country of the campus must offer globally competitive tertiary education. 3. An ideal, clean natural environment should be readily available around the campus for students to enjoy their collegiate life. 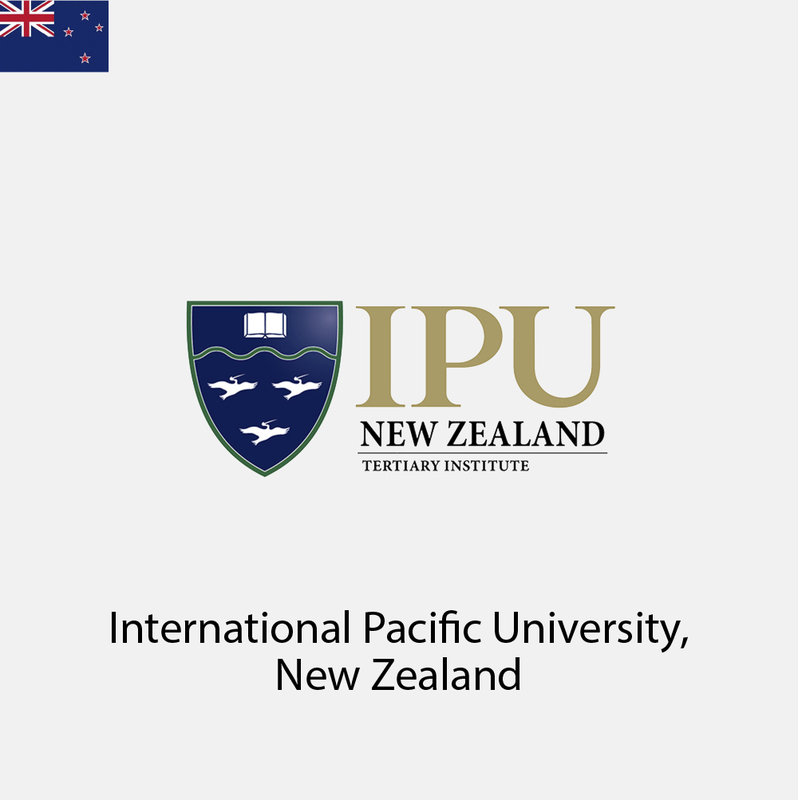 IPU, the first campus of the grand scheme, satisfied these three requirements and has successfully supported students coming from many corners of the world with their studies as international students living in New Zealand and away from their home countries, as well as domestic students. Today, students from some two dozen countries live and study on IPU campus in Palmerston North while we have cooperative links with many tertiary institutions and secondary schools throughout Asia. The second campus of the scheme opened in 2007 in Okayama Prefecture, Japan. The International Pacific University, whose philosophy is to combine pedagogy, teacher education and physical education, has become a leading university in Chugoku region in Japan in the few years since its establishment. Meanwhile, IPU, as the first campus in the scheme, has redeveloped its undergraduate degree as the Bachelor of Contemporary International Studies (BCIS) with a strong emphasis on International Business as well as its other majors (International Relations, Japanese Studies, Language (TESOL) Studies and Environmental Studies). The Japanese government recently approved the second campus, IPU Japan, to launch its new Bachelor of Contemporary Business Management in April 2016. These developments will enable exchange of students and faculty between the two campuses, which was the vision stated at the outset of the grand scheme. 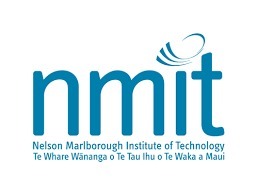 Nelson Marlborough Institute of Technology (NMIT) is situated in South Island, New Zealand. 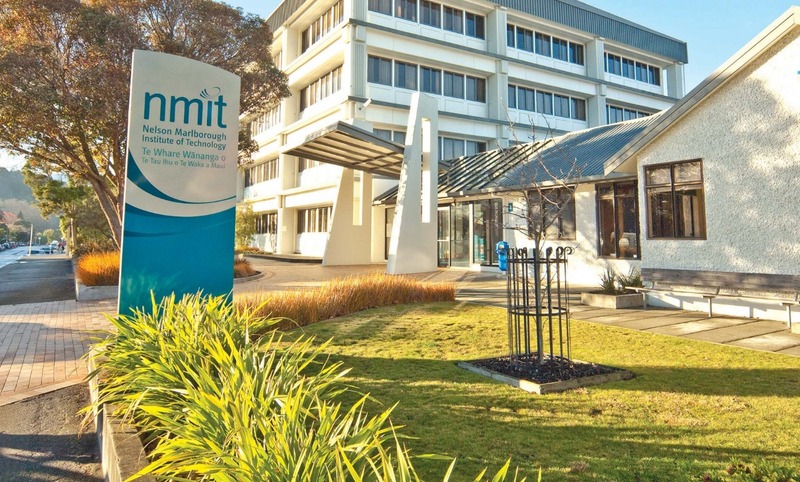 There are several campuses under NMIT, with its main campus in Nelson, and others in Blenheim, Marlborough, as well as a new Global Campus in Auckland. The Institution has over a century’s worth of contribution in providing quality tertiary education through its 100 programmes at distinct levels such as certificates, diploma, or degree level in a broad range of study fields. Furthermore, every year, NMIT receives approximately 3,000 full-time local and international students, thus, creating a culturally diverse learning environment. Joint conference, workshop and seminar. 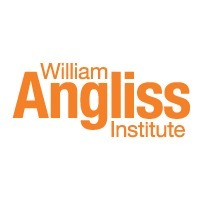 With around 23,000 students enrolling each year, William Angliss Institute offer a broad range of training and education programs including accredited traineeships and apprenticeships, certificates, diplomas and advanced diplomas, short courses, graduate certificates, bachelors and master degrees. 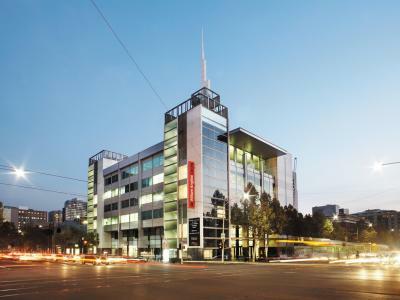 Established in 1940, the main campus is located in the heart of Melbourne's central business district. Acharya Institute is a high-education institution consisting of 13 education institutions within 100 programmes in over 50 academic field. Its international environment is strongly seen from 12,000 students originating from 70 countries studying in its campus. Acharya Institute provides housing with the capacity for 1,500 residents along with other supporting facilities such as horse-riding, sport and laundry facilities. It has also incubation center meant for students to develop their entrepreneurial skill. Description: Acharya institute offers this programme for undergraduate students from any disciplines, the programme is focusing on the learning how business in this globalization era works in strategic locations and institutions. ocated in Rajabheta, 5km from Dibrugarh town, Dibrugarh University has a campus 550 acres wide, surrounded by industrial area. It has 5 schools and has been hosting 175 affiliate colleges and institutes over 7 districts in Upper Assam. Besides business incubation, Dibrugarh has also been active in initiating outreach programme to help neighboring area develop further. Description: Dibrugarh has been making strong connection with other universities around the world, one of which is through student exchange programme. The exchange programme in Dibrugarh is focusing its aim in studying cultural matters in India. 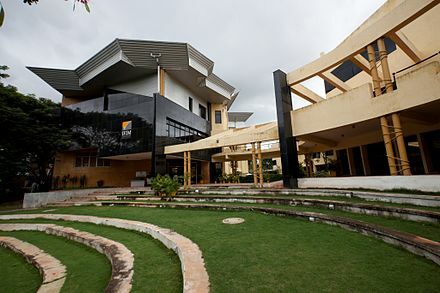 As one of the top institutions in India, IFIM Business School has a very strong connection with information technology and electronic industry in Bangalore. That also explains why IFIM Business School has a close connection with corporate and industrial stakeholder, leading way to the possibility of direct supervision from these stakeholder onto the students. It has 4 types of full-time programme and 5 types of executive education programme. Description: IFIM inbound programme for exchange students is giving a glance of how will the top positions in MNCs and Global companies will be. They will have assignments and research projects from companies abroad in short term to help them prepare for the heated competition in international business field and understanding the business management in other countries. Located in the center of Odisha, KIIT is an internationalized and self-funding institution that can provide a place for 27,000 students. It has 28 schools across more than 100 field of studies with complete facilities comprised in up to 12 million squares. KIIT has around 23 campus building which span 25 km square, this allows its students to obtain convenience in experiencing multicultural environment. Besides, it offers degree ranging from bachelor, master and doctoral degree. KIIT collaborate closely with its faculty members and students in order to overcome various challenges, including raising its best endeavour to create a system for an effective tutoring and mentoring activities for the students. This framework has been opening opportunity for its students to participate in several international events such as Olympic games. difficulties. For more information, click here. Description: KIIT open an exchange programme for international students, it has 28 partner universities for this type of programme. The students shall be allowed to study certain provided courses for the period of three to six months in KIIT. Manav Rachna International Universities was originally College of Engineering and has since then been under constant development. It has now consists of 5 field of undergraduate study programmes, with 11 courses and Ph.D programme. Manav Rachna gives an excellent education for its students to get along with relevant technology in this globalization era. Description: Manav Rachna has arranged an international environment for its students and academic members through various programmes, including student exchange programme for relevant courses. 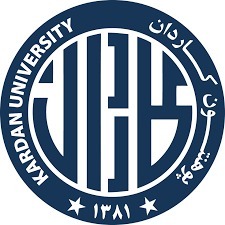 Founded in 2003, Kardan University is a for-profit private higher education institution located in the rural setting of the large city of Kabul (population range of 1,000,000-5,000,000 inhabitants). Officially accredited and/or recognized by the Ministry of Higher Education, Afghanistan, Kardan University (KU) is a small (uniRank enrollment range: 2,000-2,999 students) coeducational higher education institution. Kardan University (KU) offers courses and programs leading to officially recognized higher education degrees such as pre-bachelor degrees (i.e. certificates, diplomas, associate or foundation degrees), bachelor degrees in several areas of study. See the uniRank degree levels and areas of study matrix below for further details. This 15 years old higher-education institution has a selective admission policy based on entrance examinations. The admission rate range is 60-70% making this Afghan higher education organization a somewhat selective institution. International students are welcome to apply for enrollment. Joint research and applied research program. 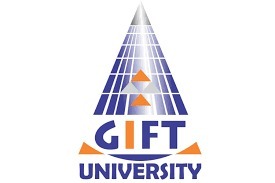 GIFT University established in 2002 with the vision to bring about a visible change in the society by offering quality education to the youth of the Gujranwala division and also to become a leading educational institute of the region. Looking back at the year 2002 we see no university between Lahore and Islamabad region which can educate the young souls and prepare them to play their meaningful role in the development and progress of the industry. GIFT university takes pride to be the first university in the region and is now the BEST University of this region with W4 ranking and recognition from HEC. GIFT University also takes pride to be the only chartered university of Gujranwala. Canadian University Dubai (CUD) was established in 2006 to deliver high-quality undergraduate, graduate, continuing and corporate education in the UAE, and to provide a gateway for students to pursue higher education opportunities in Canada. CUD is located in the heart of downtown Dubai and each of its academic programs is based on Canadian curriculum and education principles. 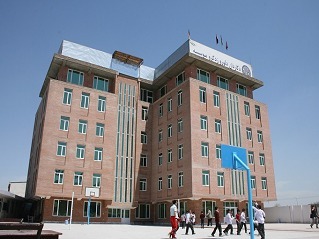 This gives students the opportunity to obtain a Canadian education while experiencing the unique culture and values of the United Arab Emirates. With over 100 different nationalities that call our University home, our diverse student community is building bridges across cultures and continents in one of the world’s most dynamic cities. CUD goal is to move each individual forward as a well-rounded, lifelong learner and a good global citizen. To achieve this, emphasis is placed not just on academic achievement, but also on extracurricular involvement. Our vibrant student life provides something for everybody, from sports to concerts, and various international trips in between. Students are also involved in many different types of social activities, including community fundraising, team building, and networking events. Description: Students need approval from President University prior to applying. Exchange students are advised to bring their unofficial transcripts with them to CUD. It will be required if you wish to enroll in a CUD class that has a prerequisite. Without proof of completion of a pre-requisite class or classes as notated on a transcript, you may not have the opportunity to enroll. The Students will pay the tuition fee to President University only. The students will be able to study at CUD and transfer the credit back to President University. This may also include an option of additional courses in English for academic purposes. 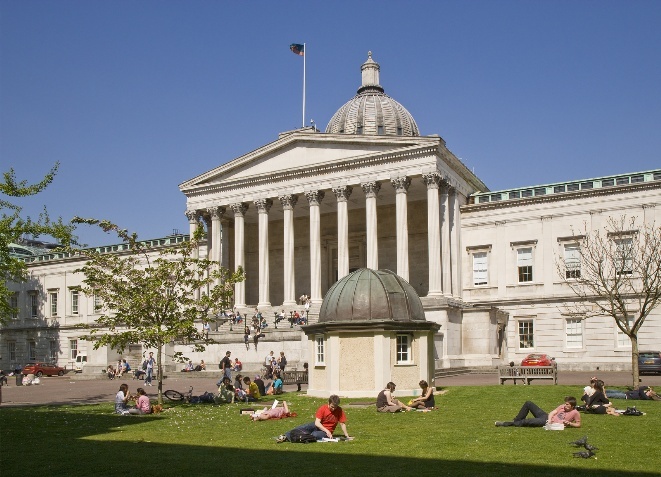 Description: UCL Summer Programme is series of modules and classes students can take during summer time. The Sessions divided into two, each spanning three weeks, students from PresUniv can take one module in each session, 15 hours per week in 45 contacts. Students will obtain transcript, certificate of attendance, and be granted a status in UCL associates of alumni after their completion of programme. Be nominated by President University. Have completed one year of academic study at a higher education institution/ university overseas. Have obtained good grades in your current study programme - please check the requirements for Indonesia. Be able to demonstrate a certain level of English proficiency of IELTS 6.0 overall or a min. CEFR level of B2. Please see UoG’s English Language Entry Requirements for accepted country specific qualifications. Deadlines: UoG’s academic year comprises two-semesters, typically Semester 1 runs September to December and Semester 2 runs January to June. This includes induction, teaching and assessment periods. Established in 1451, University of Glasgow is the 4th oldest English-speaking university, focusing in research development. It has 20 schools and 4 colleges in 3 campuses buildings, it only needs under 10 minutes ride of subway to reach the city center from the West-end of the university. As one of the most exciting destination in Europe, Glasgow has many to offer, beside its cultural attractions and impressive architectures, it has over 90 park and public garden and interesting culinary and destinations to explore, particularly for international students. 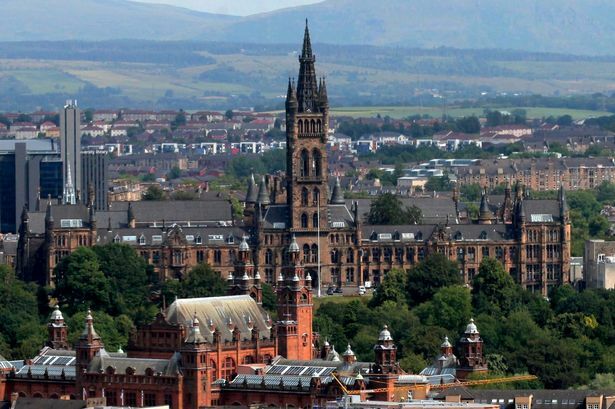 Description: University of Glasgow offers abundant choices for graduate students to pursue their postgraduate degree. Students may choose to continue their education either through taught or research degree programmes. Students from President University who wish to apply to postgraduate study in the School of Science will have reduced tuition fee of 20%. 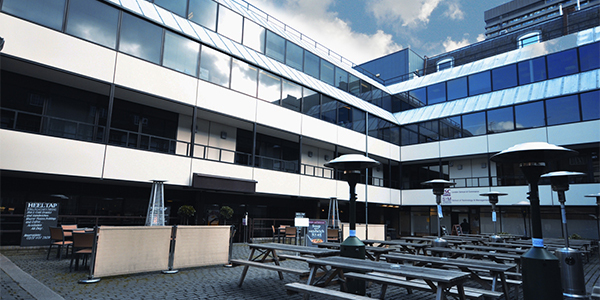 The London School of Commerce (LSC) offers a portfolio of graduate and postgraduate courses in Business, Management, and Information Technology leading to internationally recognised qualifications. Our campus is within easy walking distance of the very heart of London, offering our students the chance to study in one of the world's greatest financial, cultural and historic capital cities. Access to over 70,000 online materials. Join the LSC Group and be part of a global community of more than 10,000 students from over 100 countries. President University alumna will get a partial scholarship if they wish to take their master’s degree at London School of Commerce (LSC). The scholarship will cover a little amount of tuition fee. For more information, kindly contact International Partnerships Office (IPO) President University. HAN University of Applied Sciences (“HAN”) has more than 3,000 international students from 70 countries. It provides 62 bachelor courses and 19 master courses across 8 center of expertise and 4 faculties. HAN offers multidisciplinary and practice-based research allowing their students to be prepared for international competition in globalization era. 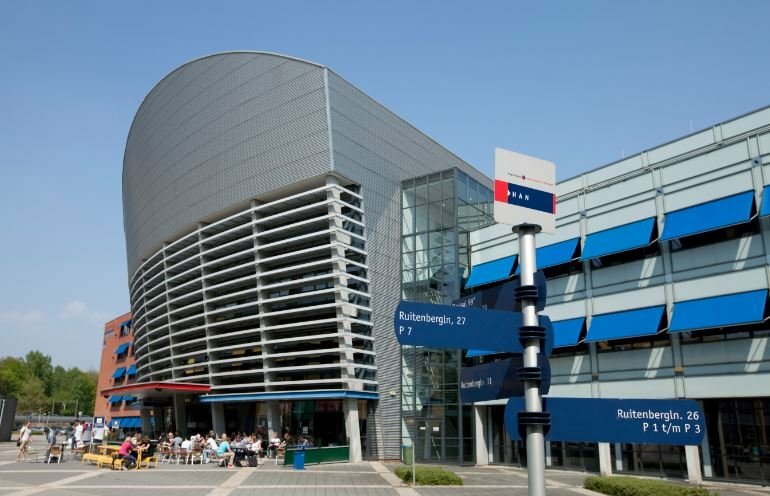 There are 2 campuses in which students will have to recognize in HAN, the first is located in Arnhem and the second is located in Nijmegen. Arnhem is the capital city of the province of Gelderland, it is suitable for people who loves a city-life. Meanwhile, Nijmegen is surrounded by forest and suitable for hiking and cycling. Description: PresUniv is currently engaged in a joint research agreement with HAN particularly developing triple helix setting in Gelderland and West Java province. Further cooperation shall follow. Description: As a university focusing its study in practical learning, HAN University gives work placement experience for its students during the first and the third year. In the first year, students will have a one-day work placement in a company to experience real-life work. This experience shall continue in the third year within the major work placement. Meanwhile, PresUniv has an Internship Immersion programme which available for all international students to take for 1 semester or 1 academic year. During this programme, the students shall have intern in certain PresUniv partner company while having study in non-degree seeking programme. As one of the largest higher-education institution, Saxion university is providing 17 field of study at various level, that can be explored by undergraduate and graduate degree-seeking students. It was formerly consists of two universities that was merged into one in the year of 1998. It has diverse student body with 3,500 students with 89 nationalities. The campuses spread around Deventer, Enschede and Apeldoorn in the eastern part of Netherlands. Description: The joint 3+1+1 programme means that President University (PresUniv) students study three years undergraduate at PresUniv, one year undergraduate at DCU Business School, followed by another year Masters at DCU Business School. The agreement is applicable for students from the School of Business at PresUniv. Upon graduation, students will receive a BSM/BBA/B.Acc from PresUniv, a BBS degree from DCU Business School, and a Masters level degree from DCU Business School. PresUniv students will receive a 15% discount on non-EU fees for both years of their studies at DCU Business School. Description: Any junior- or senior-year student currently pursuing a course of study at PresUniv may apply to become a Study Abroad student at DCU. Students can attend accredited modules and arrange with their home institution for credit transfer. Students should have a strong academic standing at PresUniv and should have achieved a good cumulative average to date, such as a G.P.A. of 3.0 (or equivalent) to be eligible for the programme. Deadlines: All applications should be made directly to the International Office of DCU by 15 July (for Semester 1 or the full academic year commencing in mid - late September) or by 30 November (for Semester 2). UCAM is a private university founded in 1996 with a clear mission: to train students with knowledge and skills to serve society, to contribute to the further expansion of human knowledge through research as a integral part the development of man and mankind and to participate in the evangelization mission of the education and culture. Full day cultural visit and leisure activities each week. 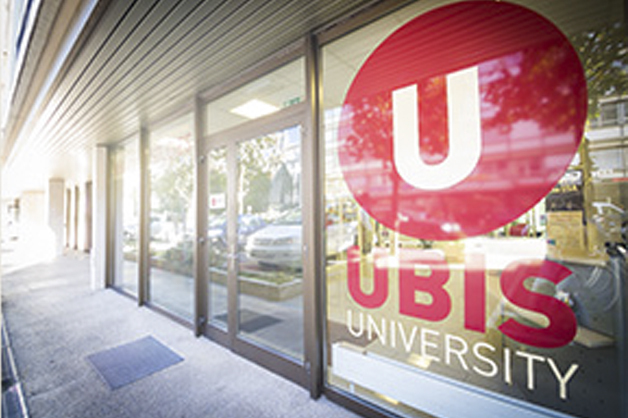 The University of Business and International Studies (UBIS) is a Swiss Boutique University. UBIS is part of the Linden Education Group a consortium of small, boutique universities based in the United States. UBIS courses are taught in English. Programs give you the choice of studying physically in Geneva, London and Washington D.C. – or to study online. Courses include Bachelor’s and Master’s degrees in Business Administration and International Relations, plus a series of Industry Specific Certificate programs customized to the ever-changing marketplace. In addition to its main campuses UBIS has established key partnerships with leading university in the United States, Europe, Asia and Africa. This continued commitment to innovation provides students, working professionals and faculty members with a more global view of the international landscape. We are proud to offer exchange programs and dual degrees in conjunction with schools and universities in countries around the world. UBIS currently enrolls students from 40+ different countries. These dynamics enable UBIS to craft exclusive degrees and uniquely tailored opportunities for students before they enter a globalized career. The University of Ss. Cyril and Methodius (UCM) provides education in bachelor, master and doctoral study programs in different fields of the humanities and social sciences, in physiotherapy, teaching, as well as in chemistry and biotechnology. Graduates of mass media and marketing communication and physiotherapy have been ranked among the most successful experts in the labor market. Graduates of the faculty of natural sciences usually find their occupations in the field and the best ones continue in doctoral studies. The graduates UCM are provided with solid fundamentals for practice. UCM is a dynamic and prospective educational institution with interesting and modern study programs. Studying at the University of Ss Cyril and Methodius is an opportunity for students to develop in the whole range of academic, social and cultural dimensions. The main aim of UCM is to protect and spread knowledge and to develop education on the basis of scientific knowledge and creative scientific and artistic activities while keeping the national and general human and democratic traditions. UCM has been contributing to the development of education as a part of culture of the whole society and thus it has participated in the improvement of the scientific, technical, economic and cultural standards of society. The university is focused on the education of highly qualified graduates mostly in the fields of social, economic, medical, legal, natural, humanities, pedagogical and historical sciences. UCM has been developing a 130 year-long tradition of university education and research in the town of Trnava. And therefore it is very important that UCM is soon going to celebrate the 150th anniversary of its establishment. Our ambition is to achieve the highest level of the quality of education. UCM has been constantly trying to provide its graduates with the conditions that cope with the demands of the present labor market. UCM realizes the value of practical education in cooperation with partner organizations and thus we offer the students an opportunity for a smooth inclusion into professional spheres in many fields of interest. The expansion of UCM and implementation of many measures has been rewarding and fruitful. 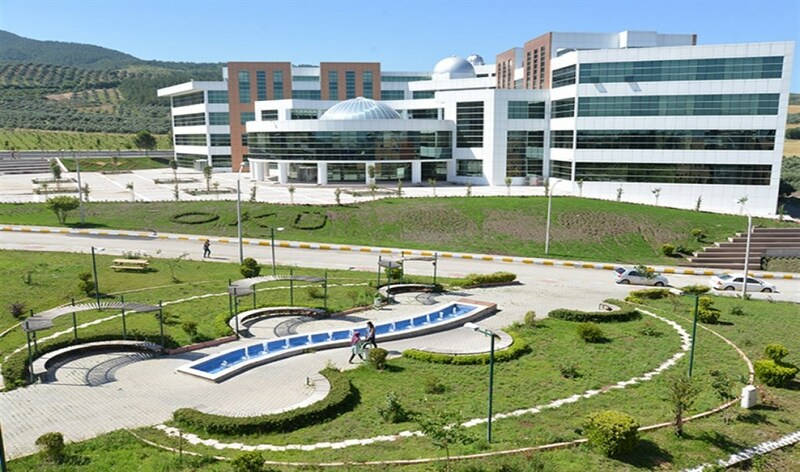 Founded in 2007, Osmaniye Korkut Ata Üniversitesi (Osmaniye Korkut Ata University) is a non-profit public higher education institution located in the large town of Osmaniye (population range of 50,000-249,999 inhabitants). Officially accredited/recognized by the YÖK - Yüksekögretim Kurulu (YÖK - Council of Higher Education), Osmaniye Korkut Ata Üniversitesi is a small (enrollment range: 4,000-4,999 students) coeducational higher education institution. Osmaniye Korkut Ata Üniversitesi offers courses and programs leading to officially recognized higher education degrees in several areas of study. Osmaniye Korkut Ata Üniversitesi also provides several academic and non-academic facilities and services to students including a library, as well as administrative services.